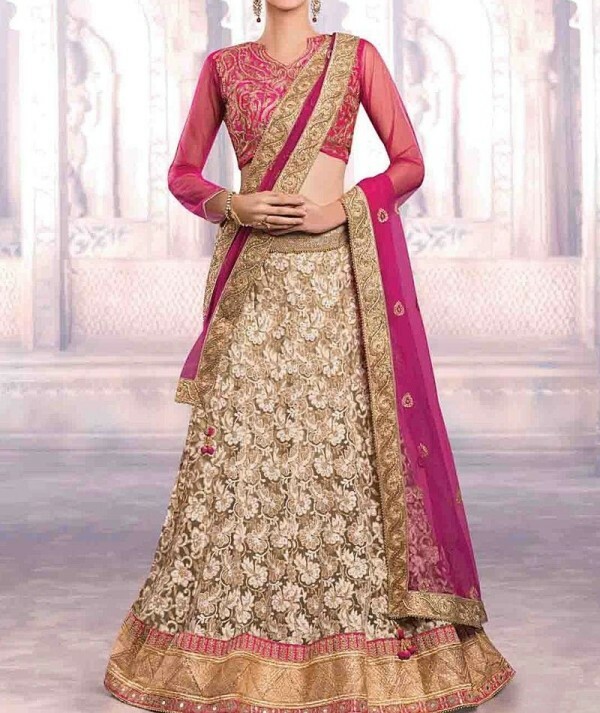 " Look Stunning In Net And Satin Fabric Bridal Lehenga choli Highlighted With Thread , Machine And Hand work . Wear This In Your Marraige For a signature Look. Its Come With Red Color net Dupatta And Bhagalpuri Blouse (Possibilities Of Slight Colour Variations) (Lehenga can be customize if require)"